Jim Kleefeld – magician and retired teacher – will explain the mysteries, magic and myths of mediums during a special program at 6:30 p.m. on Tuesday, Oct. 30 at Mentor Public Library’s Main Branch. 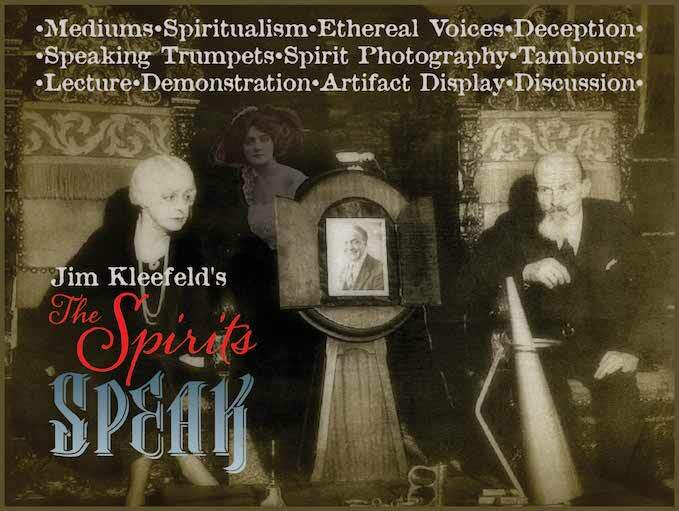 Kleefeld will discuss how spiritualism (the practice of contacting a dead person) became popular in the early 1900’s and explain how séances really work. He’ll also tell stories of how mediums hoaxed famous people like Arthur Conan Doyle and Harry Houdini. Finally, Kleefeld will use his training as a magician to demonstrate some of the artifacts used by fake spiritualists to deceive and swindle innocent believers – artifacts like trumpets that can transmit a voice from the past, miracle frames that find their lost picture, and more. The program is free and open to all. We only ask that you register beforehand. You can sign up online or call us at (440) 255-8811 ext. 247. Enjoy the Creepy Carnival on Thursday, Oct. 25, at Mentor Public Library. Our Haunted Halloween craft spectacular at 1 p.m. on Saturday, Oct. 20, at our Headlands Branch. Our Pumpkin Decorating Contest at 6:30 p.m. on Wednesday, Oct. 24, at our Lake Branch. The whole family can decorate a pumpkin together. The best gourds win a prize. Please dress for a mess! Our Creepy Carnival at 1 p.m. on Thursday, Oct. 25, at our Main Branch. Enjoy carnival games, crafts and snacks with a Halloween twist. Registration required. Our Halloween Party at The HUB (inside of Mentor High School) from 3:30 to 7:30 p.m. on Wednesday, Oct. 31. 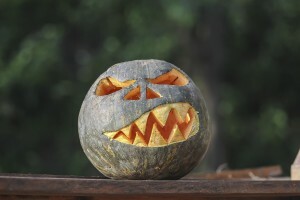 Families can design jack-o-lanterns, complete a scavenger hunt and more. Finally, kids can trick-or-treat at the library on Halloween. Wear your costume and get some candy, along with a book or two from our Pop-Up Library, while supplies last. All of these programs and events are free. However, some of them require registration beforehand. To sign up, call us. For more information, visit our event calendar. This entry was posted in Uncategorized and tagged halloween, Mentor Public Library. Bookmark the permalink.